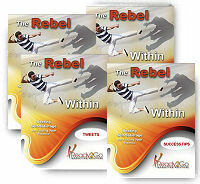 Audio Training Program: The Rebel Within - Beating Self-Sabotage and Reaching Your Potential from Ready2Go Marketing Solutions, Inc. This audio series is designed to help you become aware of and begin tapping into that negative, inner critic that lives in all of us. I know what you’re thinking, ‘who wants to listen to that voice! ?’ Sure, that inner voice points out our flaws and weaknesses, but it also tells us a lot about our strengths. If you’ve ever felt stuck – and let’s face it, who hasn’t - listening to your inner critic may be the key to experiencing new levels of fulfillment in your relationships, your career and your life. 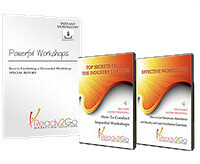 The audios are 4-6 minutes long and filled with ideas that will help you and your clients gain more control over their negative thoughts that hold them back. Audio 2 – Discovering Your Inner Critic: Who is it and What Does it Want From Us? Audio Training programs are a powerful tool for keeping in touch with your clients and prospects, and delivering great value. 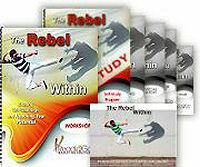 Order the Taming Your Inner Critic – The Power of Possible Thinking audio training program today.